Admittedly, like most people, when planning to travel for a music festival I’m likely to head out to Texas or some of the more eclectic corners of Europe but this year I’ve experienced something new. This year my festival travel plans, however last minute, took me to Jamaica for Reggae Sumfest, the biggest and most prominent reggae festival in the world. The festival brings around 1.5mln visitors to the island annually, and that’s just one way to describe the scale. 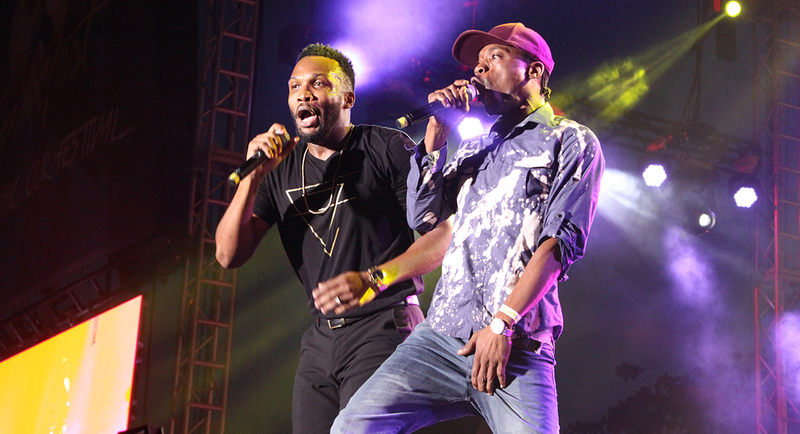 Sumfest runs for a week with various size events across Montigo Bay – a.k.a. paradise beach, a.k.a. rum country, a.k.a. “Imma lay on the beach untill my parents don’t recognize me”. The events start out fairly small and scales up as you approach the weekend, culminating on Friday and Saturday nights in an all-out, all night event. So, how was it? In simple terms, pretty damn unforgettable, but lets talk about it in a bit more detail. Over the years Reggae Sumfest featured global performers but this year big changes swooped the island: Joe Bogdanovich of Downsound Records (DSR) took ownership of the festival and with warm support of Jamaica Tourist Board (JTB) and Sumfest vice-chairman and co-producer Robert Russell opted out of bringing in foreign acts. Jamaica is the birthplace of reggae and home to a multitude of internationally renowned artists so this line up is “as global as it has ever been”, pointed out Miss Kitty during the press conference on Saturday afternoon. While that decision maintained a level of healthy debate among the public, keeping it local also allowed the festival to keep their budget in check and invest more into the set up, the artists, and the program overall. The biggest event of the week was the Dancehall night. Walking around the resort the friendly staff kept on asking me if I was excited for the night, “Come see me in booth 1, we’ll be serving up some jerk chicken!” Those few who were not going were visibly disappointed and those who came out made no promises for the following day. At Sumfest there is just one stage, despite the number of performers, it is customary to party all night, past the sunrise, and watch the most prominent acts in the crisp morning sun at 7, 8am. For real. I was shamed to bits for having a hard time staying up. People come prepared with large pieces of cardboard, a.k.a. Jamaican rugs, to rest and nap on. Some take nap breaks in the cars but most waste no time on such silly things as naps. Dancehall as a genre originated in the 70s with the likes of Yellowman, Eek-a-Mouse, and Moti Giat. As the digitalization of the music industry begun swiping the world it progressed the genre into faster beats and rhythms, influencing artists in the US. You may know one of them as Shabba Ranks and some would argue that even Rihanna and Sean Paul are Dancehall artists. Today, Dancehall night is the most attended event at Reggae Sumfest, the one for the “young ones” as many people kept calling it but as you entered the festival grounds it was clear that age had no limit here. People who attend Sumfest come done up: hair did, nails did, everything did, and ready to drop it. Dancehall, and reggae overall really, brings out incredible rhythm in people and the general lux attitude is frequently enhanced with fresh, local marihuana. The performers were primarily wearing white, glowing in the stage lights or reflecting morning sunrays. This is a place to dance, drink rum and Ting, sip Red Stripe, sing along, and be happy. Newly improved two-level Dancehall stage was a surprise to everyone. The band was keeping pace on the top level, floating across the center of the stage, while the performers had room to roam elevated just enough to be seen across the park. A certain level of special access will gain you entry into the VIP area with full access to front of the stage, some VIP perks come with entry into the media tent where all artists were lounging around, taking pictures, and doing interviews. Smaller artists took the stage early in the evening, the big stars took the stage early in the night but that’s not to say that the acts in between were any less worth watching, there were 25 of them after all. 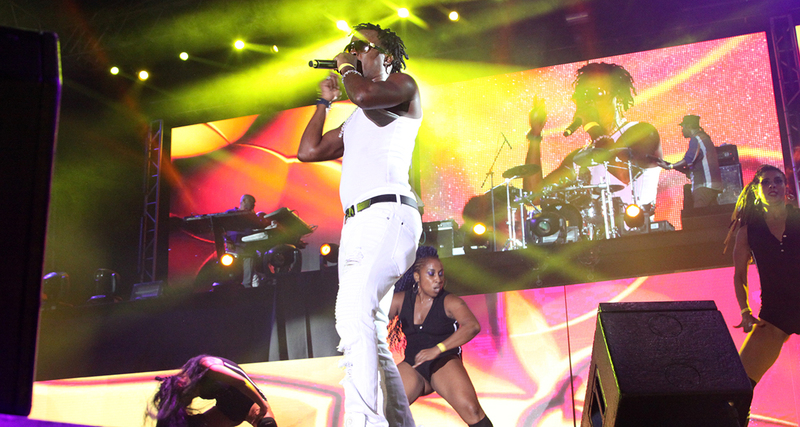 Bounty Killer blew the crowd out of the water, Spice absolutely killed it with her theatrical and memorable performance, Romain Virgo drew the girls closer to the stage while Tanto Blacks showcased their spectacular moves, and Chi Ching Ching and Agent Sasco had everyone singing along. The cream of the crop however, were Popcaan, I-Octane and, of course, the “King of Dancehall” Beenie Man taking the attendees into the Saturday morning and welcoming those who had just finished their nightshifts to Sumfest. Fittingly to his nickname Beenie Man was carried out onto the stage on a throne. 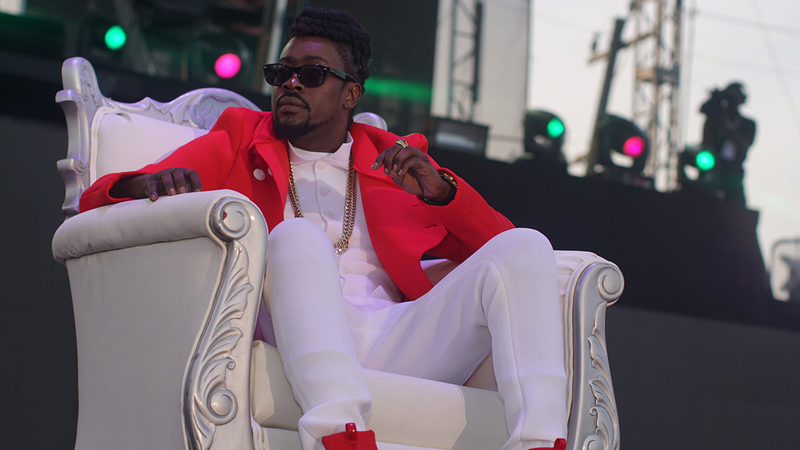 Throughout the weekend Beenie Man kept making surprise appearances on the Sumfest stage causing an uproar in the audience with each entrance. Saturday night was Reggae night featuring some highly anticipated classic acts like Tarrus Riley, Super Cat, Busy Signal, Nature, Christopher Martin, Luciano and, of course, Barrington Levy. The night had a significantly shorter line up overall, only 12 acts, which gave each artist plenty of stage time. With each performer coming out on stage the crowd went wild. Everyone’s favourite performed that weekend. Barrington Levy strolled out in a glittering white suit bringing out special guests like Beenie for “Murder” and Shyne later on. 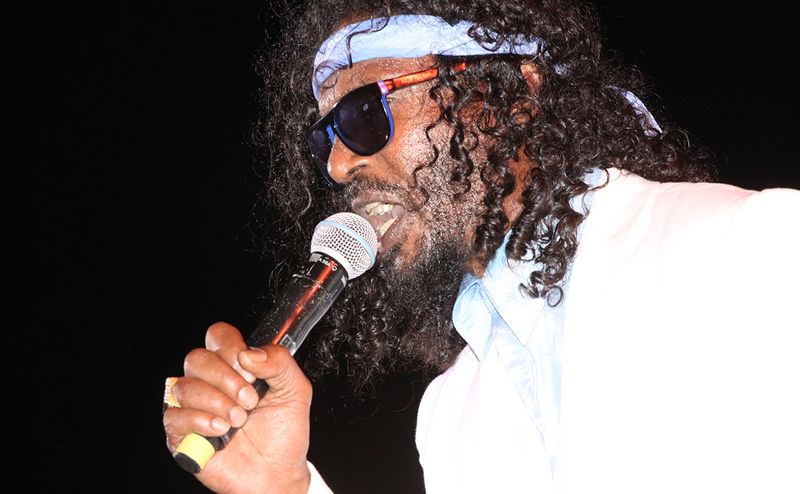 No one expected Shyne to be at Sumfest – there may have been tears when the first beats of “Bad Boyz” begun to ring across the festival grounds. Super Cat took the stage next spreading nostalgia through the audience, and Tarrus Riley took us into the morning. Reggae Night was a big day for many: a press conference held earlier that day gave the organizers an opportunity to shed light on their vision and to those of us coming from overseas an opportunity to sit down and pick Beenie Man’s brain. Believe me when I say, there is a lot there for the picking, but more on that later. 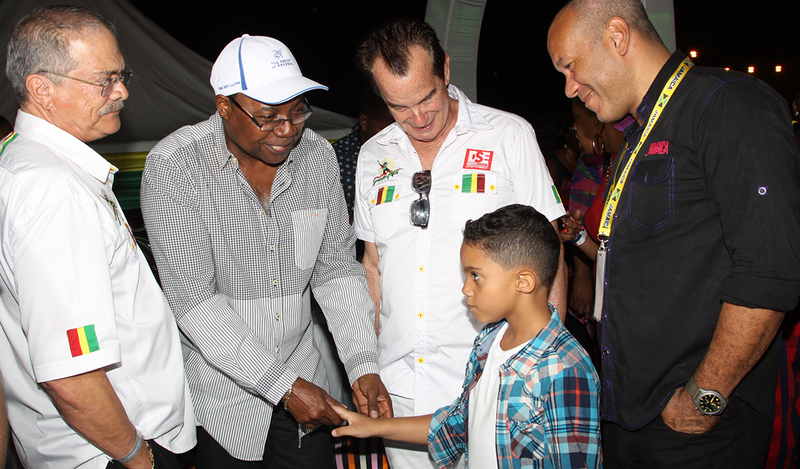 Joe Bogdanovich took a moment to illustrate his involvement with the festival at midnight to Don Andre “Tom Cruise” while Prime Minister Andrew Holness and other associated governing bodies admired the festival from the balcony in the back. Everyone supports the festival, Jamaican culture and pride is deeply embedded into Sumfest, it is a part of the “all right” in “home of the all right” slogan. The casualness of the islands is contagious but the energy that Sumfest brings out in people is incredibly engaging. Spending time in Jamaica getting deeply engaged with the culture is unforgettable on many levels – from the beach, to the sunrise shows and, more importantly, to the people – performers and locals alike.